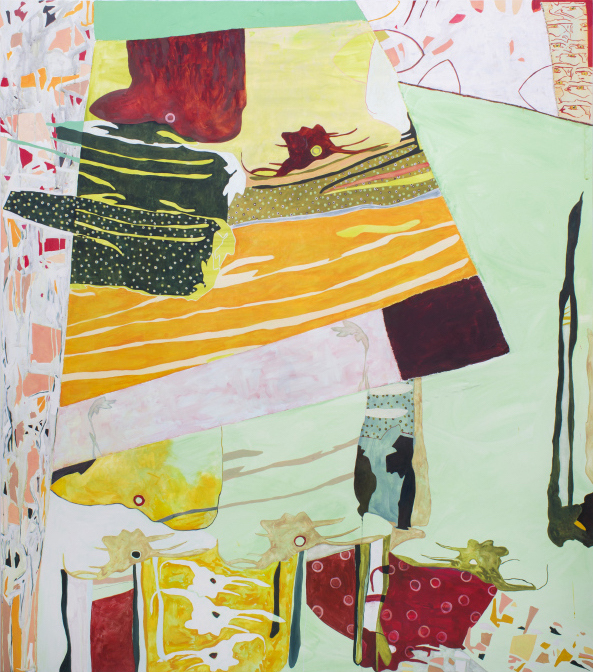 Debbi Kenote interviews painter Kate Liebman. Liebman remarks: "Every decision I make I want there to be a formal reason and another level of meaning, so it works on multiple layers... When I see the paintings, I can’t help but see them in reference to the original image, but the viewer doesn’t necessarily have that. So there is this huge gap between how I see them and how the viewer sees them. A painting is successful or done when there is a certain balance or tension between what we were talking about before– that inventiveness and the original image. Hopefully there’s a weird body feeling that happens for a viewer, or a certain eeriness…"